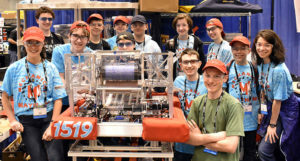 In the very first match of the first off-season competition, our robot Blaise’n 40 lived up to its name, scoring exactly 40 fuel in the boiler during the 15-second autonomous period! 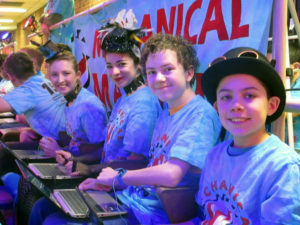 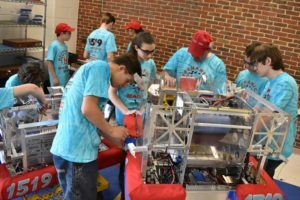 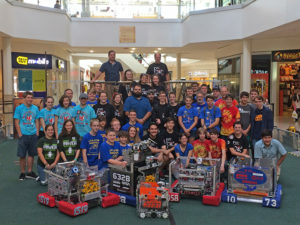 What an exciting start to a busy, fun, success-filled day for Mechanical Mayhem with two new drive teams running two robots in the competition! 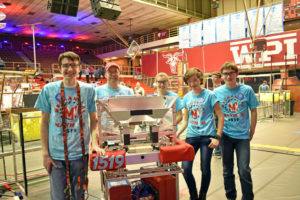 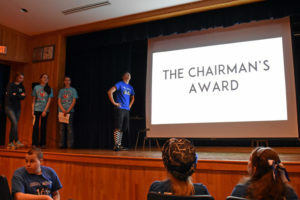 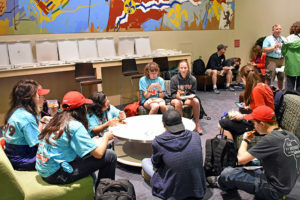 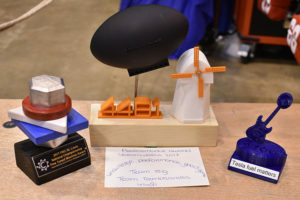 Our team was invited by the tournament hosts, FRC Team 166 Chop Shop, to participate in a panel presentation on how to build a strong Chairman’s Award team. 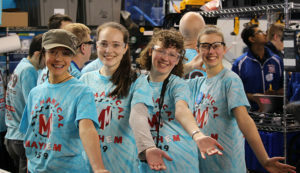 MAYHEMers Ashley and Elizabeth represented 1519 and enjoyed the opportunity to collaborate with other FRC teams. 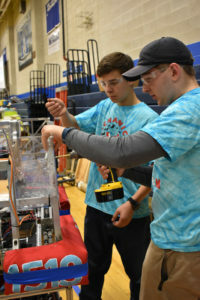 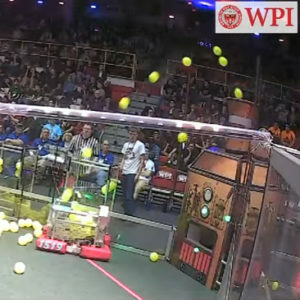 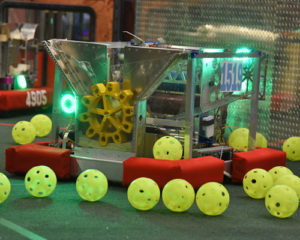 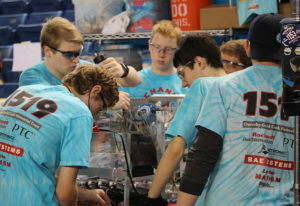 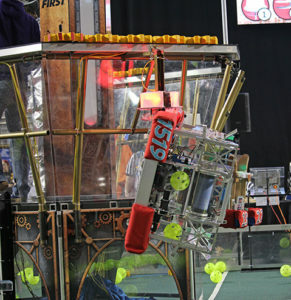 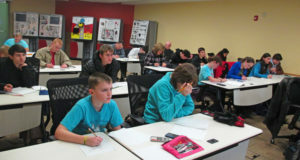 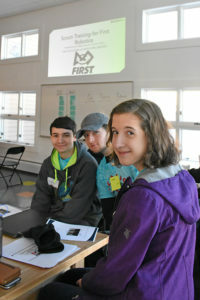 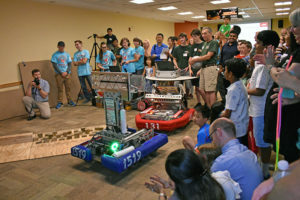 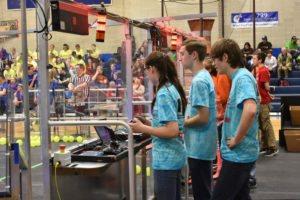 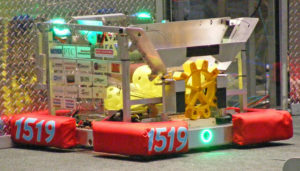 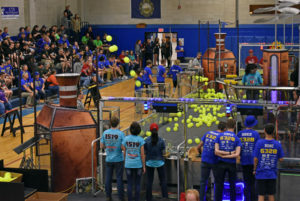 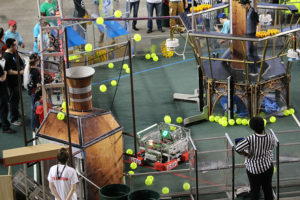 During the elimination matches 1519’s competition robot was chosen by Team 1058 with Team 6328 rounding out the alliance, while 1519’s practice robot was chosen by Team 238 who then chose Team 1729. 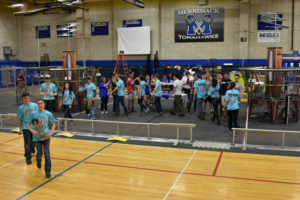 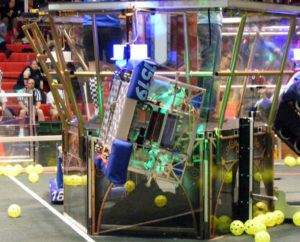 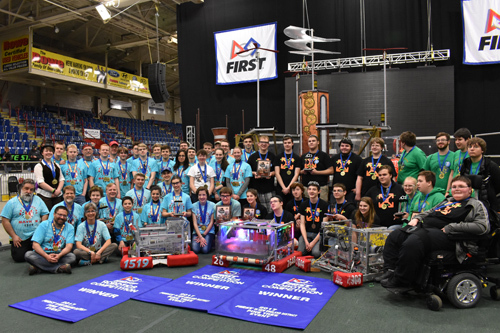 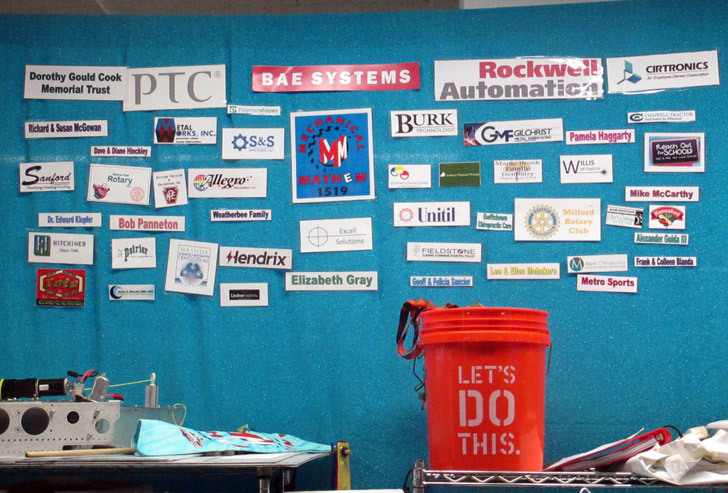 After some thrilling matches, the alliance of 1058, 1519, and 6328 prevailed as Mayhem in Merrimack winners! 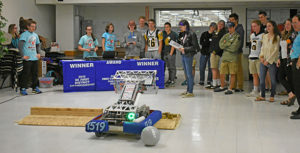 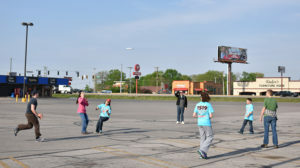 In addition, the team won the Cotton-Eyed Joe award!